You are here: Home / Contests / Enter To Win A Project Mc2 Doll! Are your kids obsessed with the new Project Mc2 show? Take their love of fascinating S.T.E.A.M. experiments to the next level with the amazing dolls from MCA Entertainment Canada. We are giving one lucky reader a Camryn doll that comes with an experiment for your child to try on their own. Now your child can perform an experiment at home with construction queen, Camryn Coyle. Make your own wind-up pet robot just using household ingredients like a strawberry or marshmallow. 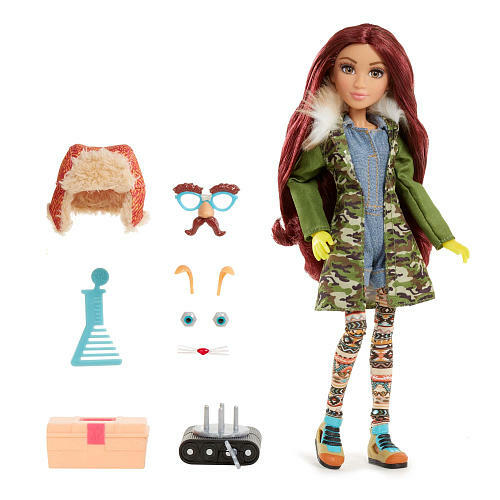 Camryn comes dressed in her undercover spy outfit and she comes with everything you need to make your very own wind-up toy (minus household items). Enter now for a chance to win! Contest closes April 14th, 2016. Please read the rules and regulations before entering. My youngest great grand daughter,I am sure would love to have her own doll so she could show it to her classmates in her French Immersion Class.